His debut album, One Mississippi, was released in 1996 on Virgin Records. The album featured several contributions with Jason Falkner and gained many favourable reviews in the music press but failed to sell in sufficient numbers and Benson was dropped by Virgin. Brendan toured the states with the first incarnation of The Well Fed Boys featuring long time friend Woody Saunders on the drums and Topper Rimel ( Robots In Disguise, The Origin ) on Bass. The group shared a headline spot on their second US tour with Heatmiser, a Portland based group that included Elliott Smith, Tony Lash, Neil Gust and Brandt Peterson. Brendan and The Well Fed Boys also played several shows in Japan and a live performance on television in Paris before disbanding in ’97. All songs written by Brendan Benson unless otherwise stated. In 2002 the follow up to One Mississippi was released, Lapalco. Again the critical plaudits poured in, but this time the record enjoyed a certain degree of commercial success, selling more than three times as many copies than that of One Mississippi. The song “Good To Me” from this album appeared on the British show Teachers during series three and was included on the series soundtrack; it was also covered by The White Stripes for the B-side of the single Seven Nation Army. The song “Tiny Spark” featured on an episode from the fourth series and was also played in the movie Along Came Polly. 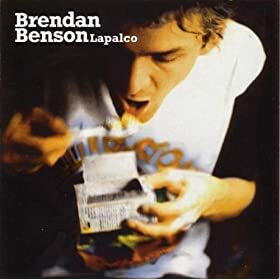 While touring this record Benson played the Reading and Leeds Festivals and finished his Leeds set with a performance of the track “Jet Lag” featuring guest appearances from Meg White of The White Stripes along with members of The Datsuns and Soledad Brothers. In 2003 Benson re-released his debut album along with bonus tracks including the unreleased six-track extended play Wellfed Boy EP, featuring songs from a demo session with Falkner. Also in 2003, Benson released an EP, Metarie, with his then band The Wellfed Boys. The EP featured a cover of Paul McCartney’s “Let Me Roll It” which featured back-up vocals by friend and later fellow member of The Raconteurs; Jack White. This was the first song written completely by another artist to be featured on a Benson release. Another cover, this time “Strong Boy”, from Gram Parsons International Submarine Band’s 1968 album, Safe at Home, was released as a b-side in 2005. 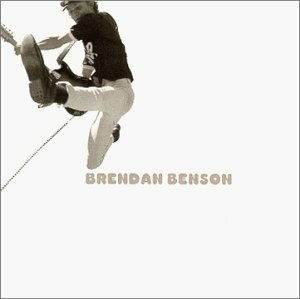 In 2005, Benson released his third album, The Alternative to Love, and toured extensively in the US, UK and Europe with his new touring band, The Stiff Tissues. “Spit It Out” was the first single and reached the UK Top 75 for the first time (peaking at #75 in April), and also generated some buzz for Brendan. Two further singles were released from the album. “Cold Hands Warm Heart” has appeared in many commercials and TV shows and “What I’m Looking For” was used in multiple national advertising campaigns. This album charted at #70 in the UK Albums Chart. All songs on the record written by Brendan Benson. In March 2007, a handful of demos from Benson’s upcoming album were posted on his Myspace. “Feel Like Taking You Home” was the first of these demos to appear. Around the same time the demos of “Forget”, “Poised And Ready” and “Go Nowhere” leaked onto the internet. Later he posted more songs on his myspace including “Lesson Learned,” “Eyes On the Horizon,” and “Untitled.” Dean Fertita, who played keyboards with the Raconteurs on tour and now is with Queens of the Stone Age, plays piano on all the Benson demos, with all other instruments played by Brendan. In October 2007 two new songs, “Purely Automatic” and “Will it Keep,” were published on Brendan’s official web site, presumably finished songs from the album. In November 2008, Brendan uploaded a new song entitled “Playdown” on his myspace, but it was quickly taken down. He soon put it back up along with another new song called “No One Else But You.” Soon after, the songs “O My Love” and “New Words Of Wisdom” were added to his page. Later he added “I’ll Never Tell,” “Happy Most of the Time,” “Only In A Dream”(cover by Young Hines), and “Diamond” on his official myspace page and he also added “Open Your Eyes” on his Reverb Nation page. 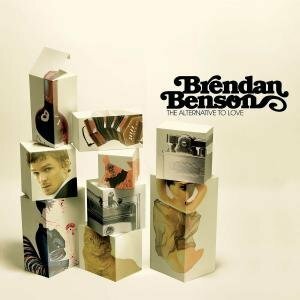 In mid March 2009 Brendan put a collaboration with his girlfriend Bitt entitled “The Hunter Gets Captured By The Game” (Cover by The Marvelettes) on his myspace page. On March 18, 2009 KRCW played a new song “Feel A Whole Lot Better” and on May 10, 2009 KRCW played another new song entitled “Garbage Day” both presumably finished songs off his fourth album. The title “My Old, Familiar Friend” and the track list were revealed on June 4, 2009. The album is set for an August 18, 2009 release. “My Old, Familiar Friend” is being produced by Gil Norton according to his MySpace page. He will be backed by the Features on some of the record. B.B continues to grow as an artist, this is why he is still relevant. I think there is a good chance he will be a legend someday. thanks! I never heard of that, is there anywhere I can get it? Hola! I’ve been following your web site for some time now and finally got the courage to go ahead and give you a shout out from Dallas Tx! Just wanted to mention keep up the excellent job! Howdy. I just desired to make a good short commentary and also let you know that in fact I’ve been pursuing your particular blog for quite some time. Keep up the very tremendous work and I’m going to be looking again consistently in a little while. Do you happen to know who is the singer in Strawberry Rhubarb Pie from One Mississippi? Is she Meg White? Keep up the work, thanks from Spain, Europe. In the One Mississippi/Wellfed Boys EP it actually says it’s sung by Emma J. Also, another fun fact, the artwork Lapalco is credited to be made by Emma J as well.